According to several major news media companies, it could be the seismic test for oil that may have caused their deaths. 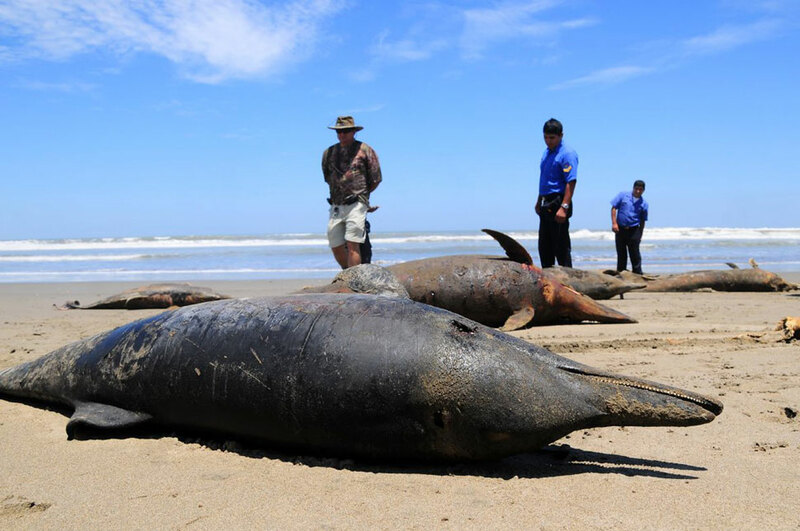 As their deaths coincide with recent oil exploration activities in the region and many of the beached dolphins were found with broken bones in their ears and damaged organs, wildlife experts seems to be putting the blame of the oil companies. In 2009, I have also written an article here about whales committing mass suicides in similar manner by beaching themselves along coasts. Coincidentally, the dates were on the same period of the year... March/April. If we continuously make their sea habitat more and more unsuitable for the sea creatures to live in, evolution will occur within the next few generations such that these creatures will leave their sea habitat to live on land! Read my previous article on beaching whales to realize what we are actually doing if we continue to pollute the sea.